Not going to get my hopes up too high too early but I'd like to think he can instill some basic organisation into our squad by the weekend. If nothing else I hope we can focus/motivate certain players and cut out some of the individual errors. Think we'll lose or more likely draw. Just hope the fans don't turn on RaHa after only one game, he needs time. Why are you so bad at this? Maybe we should ask Glasgow to mentor him so at least he can get the basics right..
As much as I'm happy and excited to see what the new man can do. I'm not expecting to much on the results front early doors its going to take a lot of work to bring his favoured style of football to the hopeless mess that is our squad and I'm not sure some of the players will ever be able to manage it. I think a draw for this one sadly. If we create as many chances as we did last night then we'll beat them. Do you think Cardiff will go as easy on us as Spurs did last night? I have a feeling Cardiff's players won't be going into second gear in the second half like spurs did. Can we get John Terry in as defensive coach/player? Cardiff aren't a very good team. I don't know if you noticed but neither are we..
Looks like a 0-0 draw with all the usual "we were unlucky" comments. Last on MOTD I would bet too!! Huge game and actually think we'll win. I'm going to go for positive new manager bounce win. I presume Lemina is back for this. We'll just have to see what we can do. This squad has 3 huge games coming up before the window, Cardiff away, Huddersfield away and West Ham at home to show what they can do for this new manager before potential replacements can come in. (I am presuming we'll lose to Arsenal and Man City and anything there would be a bonus). We have to pick up two wins IMO at least, if not looking at getting 3 as we have Chelsea in the new year before going away to Leicester so there are not many winnable games there if we mess up against these 3. Everyone on a clean slate, everything working their nuts of in the game and in training, whoever emerges will have earned their spots. I think we might see a few surprises in there. Last edited by tajjuk; 06-12-2018 at 08:01 AM. I'm interested to see whether he goes with two or three CBs. One if MH's problems was that he couldn't wake up his mind. That's not really a criticism as both systems were suffering through individual weaknesses. Personally I can't see why we changed against Spurs, but I'll accept that, unless the wingbacks really get forward, it gives us more attacking options and theoretically more midfield control. I'm hoping Ings could be back. Obafemi won't be and it's all very quiet on Long and Gallagher. I'm not optimistic about starting with either/both of Austin/Gabbiadini. Would possibly prefer not bothering with a striker, but can't see that happening in a must-win game. 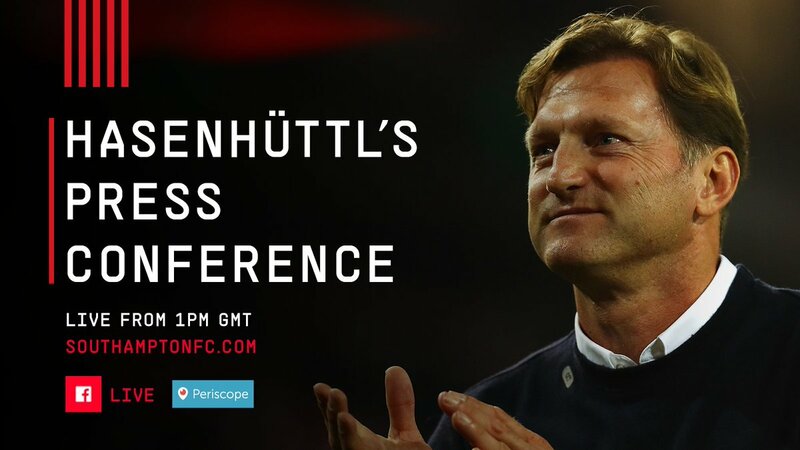 Hasenhüttl certainly needs to hit the ground running! Defence looks errrggh. Having said that I've gone through every variation of defence I can think of, in my mind, with the players we have available and I really can't come up with one combination that doesn't make think "oh ****" that's bad. I do like what I've seen of Valery can't see him being picked over Cedric but maybe Ralph will surprise me. Unfortunately no manager on the planet will be able to turn **** defenders into good ones in the space of 2 days. I think it will be a draw. Long has an ankle injury, which he got on the 9th November and was predicted to be out for around 6 weeks so I'd presume he is still a few weeks away from being fit. Gallagher just seems to have vanished, no mention of him being injured. Can’t wait to see us try the “10 second rule” that his teams play. Schmidt does the same, I believe. Will be tough. They've won their last 2 home games so their tails will be up & Warnock teams will always be ugly & in our faces. Would imagine that they will be harder to beat than Fulham & we royally f*cked that up. Desperate for Ralph to start off a positive note but will be tricky on 1 & half days worth of coaching. I think we’ll win this. We make chances and they’re ****ter than us. Hopefully Hassenhuttl will have the players motivated and working hard to impress. It's the manager's job to set up a team to defend. Not sure why a good defender makes a good coach, that's about communication and analytical skills. We've had a different defence nearly every game. Different players, different systems, it's a mess and doesn't give the players are chance of forming understanding or finding form. Just play Vesterguard. He needs time to settle, he's better than most the others and Cardiff don't have rapid strikers. For all his poor performances, our best defensive displays came with Hoedt. So I'd go with both of them for a while and see if they can form a partnership. If they can't, then we look elsewhere in January. Any chance Ings is fit yet? Bertrand? If so I think we'll win. So short of wide players it's crazy. Just think with 2 giant CBs JWP is worth a go, plus I prefer him wide right with Cedric. Austin if Ings isn't it. Just means then all pace is reliant on Redmond. Valery should come in for Cedric imo, he’s bigger, better in the air and stronger. Cedric was so poor last night again, after an improved performance against United. Cardiff will have a field day just chipping it to the back post for someone to tower over Cedric. A loss, 2-1 my guess. Their 2 coming from either a long throw, corner or free kick. Even pep couldn’t turn our shambles of a back 4 around in 2 days and about the only thing Cardiff are good at is pumping the ball into the box. Vest has to start imo otherwise we’re way to small and weak to deal with their aerial presence. We will be three up in 20 mins..
Warnock will have them pumping it into the box on every occasion possible so need our defence to hold firm. How often have they done that? That said - I'm with Simo, going for the super positive 3 nil away win based on nothing more than new manager bounce. Please. If we don't play Vestergaard for that reason i'll scream. Press conference now on twitter. His press conference already more exciting than last clowns. Already identified problems from one game. Something Hughes couldn’t get his head round. Agreed. He talks the talk but walking the walk with our current squad will certainly be a challenge! Is that a new injury? It was his hamstring before wasn't it? It would require a minor miracle to suddenly change this squad of blundering idiots into a winning team......our defenders are not going to suddenly discover the art of defending in 48 hours when they haven't been able for the last 2 years! Got a new manager,bound to win. Everybody else does in this situation. Everybody else being the key words. New manger syndrome never happens for us. When was the last Saints manager to win in his first game in charge? Sturrock beat Liverpool I think. I know Strachan didn't (3-3 draw), Adkins didn't, Poch didn't (0-0), Puel didn't (1-1), MoPe didn't (0-0), Hughes didn't (0-3). The Wigan game was Hughes's first, so technically he was. But yes, going on solely league games, you have to go way back. I think it might actually be Sturrock. Easy win. Things will click into place. Yes, you are right! For some reason I had the order of the Wigan and West Ham games mixed up in my mind. Run the game or ruin the game...?